With the holidays upon us, businesses across the nation are turning their focus to helping those in need through charitable donations. 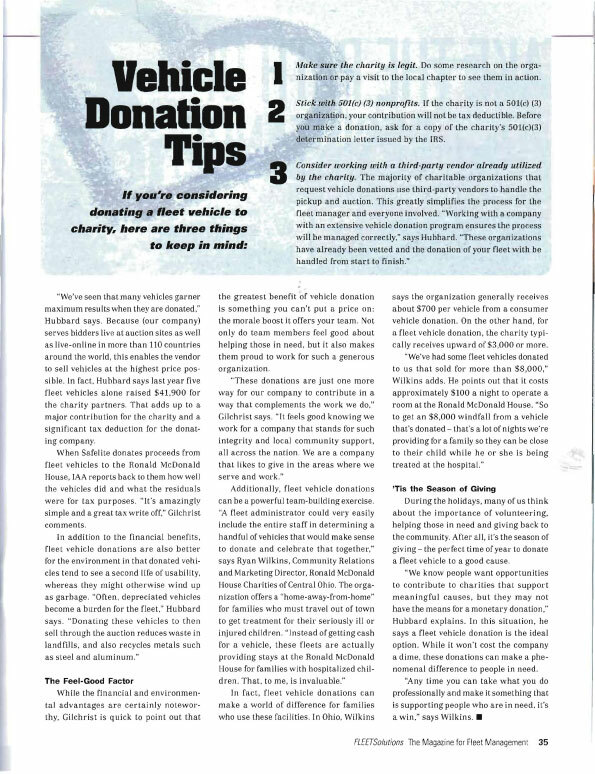 But for many fleets, donations aren’t just a seasonal activity. In fact, many fleet managers contribute a bundle to local charities throughout the year. 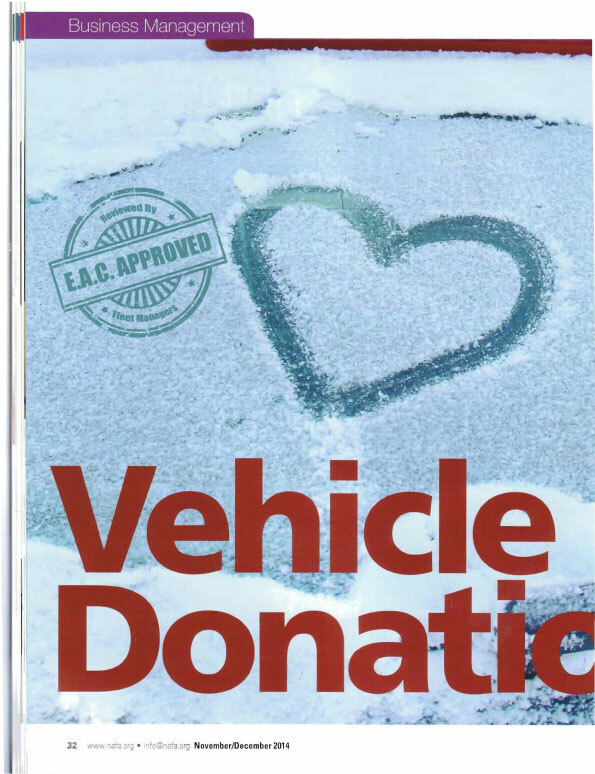 Keep reading to learn how the vehicle donation process works and how your fleet can reap the benefits from this generous remarketing option. According to Gilchrist, the vehicle donation process is incredibly easy for fleet managers. “It’s naturally what you do as part of your business process anyway—you remarket vehicles every year. So why not set aside five vehicles and donate them and write off the value of the vehicle?” she explains. Here’s how vehicle donation works: As the fleet manager, you work with your team to identify a vehicle at the end of its useful life for your fleet due to age and/or mileage. Once you’ve pinpointed a vehicle or group of vehicles you’d like to donate, you have two options. The first option is to donate the actual vehicle to a local charity. “For Boys & Girls Club and Big Brothers Big Sisters, there are times when they ask for a commercial cargo van to transport equipment and other items,” says Gilchrist. In this scenario, she identifies a vehicle in the commercial van segment of the Safelite fleet that is ready to be remarketed, cleans it up and removes all the unnecessary equipment. “We basically strip the van out to make sure it’s safe and useful for them,” she adds.